If you’re reading this article you’ve probably realize you’re better off taking time to compare different finance companies. It pays to apply for a payday loan with a large and reputable lender. Many are listed in our database opposed to a random payday loan site online. Now that we’re past that you’ll next want to find the two or three best direct payday lenders for your specific situation. Once you’ve identified the best companies that offer online payday loans you’ll want to take the next step. Let’s assume you’re approved for a loan with more than one lender. You should pick the direct payday lender with the lowest interest rates. It also helps to find a firm with the best online reputation and track record. Many consumers ask us, “Who is the best direct payday lender?” You’d think that would be an easy question to answer but it’s not. Reason being, many of the largest most reputable direct payday lenders don’t operate in every state. For example, MyPaydayLoan.com is one of the longest serving and most reputable personal loan lenders around. But they only offer online loans in 20 states. So, MyPaydayLoan may be the best direct payday loan lender for someone who lives in Texas. But if you live in California you’d be out of luck. As they don’t offer cash advances or even car title loans in California. Another variable when looking for an online loan is how much money you’re looking to borrow. Some direct payday lenders such as CheckintoCash will only let you borrow up to $255. Other lenders such as NetCredit will extend loans at anywhere from $1,000, to $10,000. With a payday loan, you will typically be able to pay off the loan in a few weeks(usually on your next pay date). With a large dollar loan, you will have more time to pay off the loan. It will usually be anywhere from 3 months to 3 years. That may seem like a long time to pay off your loan, but remember your interest charges are going up each month that your loan is outstanding. Lenders that offer loans of more than $1,000 are usually not providing online loans. These high dollar loans are commonly called direct installment loans. These types of loans are different from direct payday loans in that they have set monthly payments with set payoff times. Consider these different variables that come into play. You may already know what payday loan advance you want. But it helps to go the extra mile when you can save money. We can’t necessarily recommend any specific direct payday lenders. Perhaps we could help if we knew how much you were looking to borrow. Also the state you live in can help us narrow down different options. It could be different in terms of narrowing down a few websites. 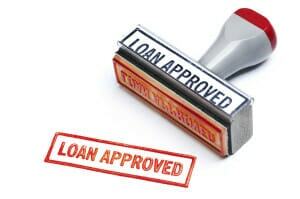 But without that information, we can’t recommend any specific direct loan lenders. Rest assured, there are great direct payday lenders in almost every state. To find the best lenders take our advice and know what to look for online. We recommend you use our database of cash advance and installment companies. Find the best lender for your specific situation. We do our best to list the states each lender can offer funding in. It helps to know how much money each direct lender can loan. Feel free to check out our updated list of direct payday lenders today. We update our database of direct payday lenders at least twice a week to make sure the information is current and accurate.